Mad Made is the imprint of SveTec, which represents his and the genre's renewed sound. The label's mission is to provide top-notch releases and bring changes to the hard-techno elite and to the whole scene with his forward-thinking attitude. 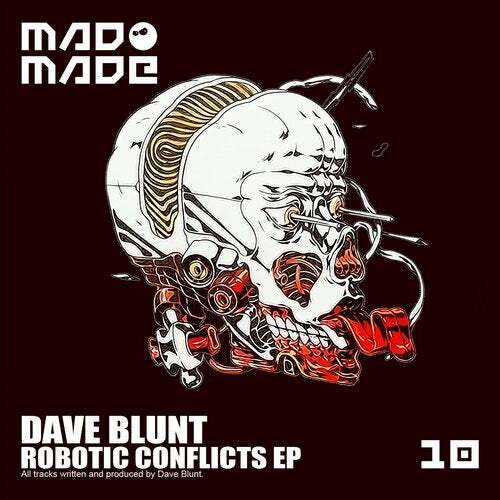 On the 10th release of Mad Made, Dave Blunt makes his debut and gets straight into business with a massive four-tracker EP, called 'Robotic Conflicts'. It is truly a unique release, as Dave makes an out-of-world experience through his tough beats. The heavy stomping rhythms and mind-blowing synths are there to make the eargasm, while one is listening to it. The tunes take us on a flashback, and with them, we can travel through space and time, to discover the future.